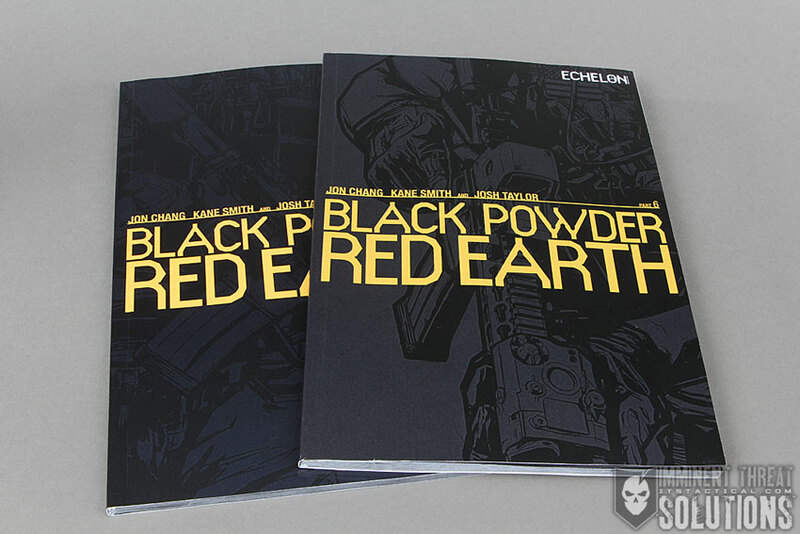 Since first hearing of the Black Powder Red Earth Graphic Novel, I’d been wanting to read it. I’m actually a huge comic book / graphic novel fan and was stoked to meet BPRE mastermind Jon Chang recently and get a copy to check out! Jon also put me in touch with co-storywriter and Special Operations Contractor Kane Smith, who I had the chance to interview. His Q&A below really gives some great insight into the plot development. No spoilers, I promise! I really enjoyed BPRE and the authenticity of the backstory, which is lost in many comics and graphic novels today. As mentioned, I read comics fairly often and while tales of unbelievable feats are common place, it’s refreshing to read a graphic novel like BPRE that took the time to get it right without violating OPSEC. 2017. The nation of Iraq, mired in horrific civil war, splinters into three nations: Kurdistan, New Baghdad and Basran. Within 6 months Iranian religious, government and military proxies dominate Basran, host to over 60% of the former nation’s oil reserves. BPRE has a dark and gritty hard-crime feel to it that keeps the reader wanting more. I won’t spoil the Q&A below, but this is something I’d highly recommend you check out, even if you’re not a comic/graphic novel fan. 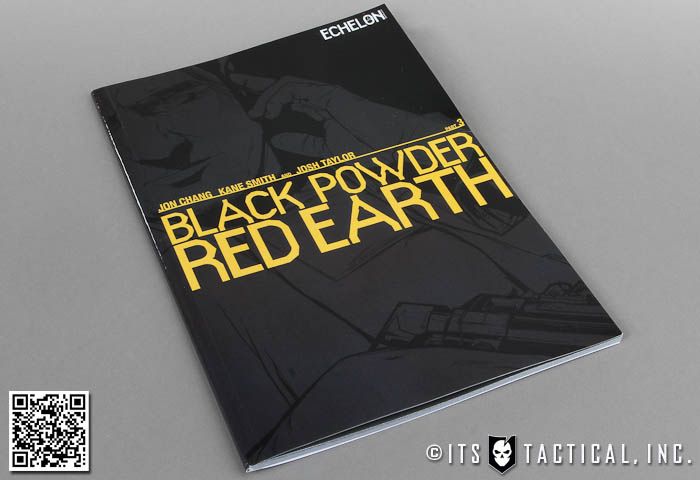 There’s also a Facebook App Operational Roleplay Game that Echelon has developed to coincide with the BPRE novel. Q: Can you give our readers a little insight into your background? A: Sure, I spent 9 years on active duty in the Army and 3 in the National Guard. 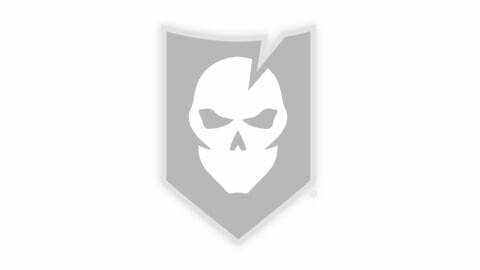 I was an infantryman and special operations medic. After the military I was looking for a way to pay for college and ended up applying at Blackwater to pay for school. My original intent was to work 6 month to a year to pay off my truck and put some money away for medical school. After working for a while and taking a hard look at the cost, time and pay off I decided to skip med school and go into business. I finished my under grad in pre-med and now am in the middle of an Executive MBA program at Harvard. 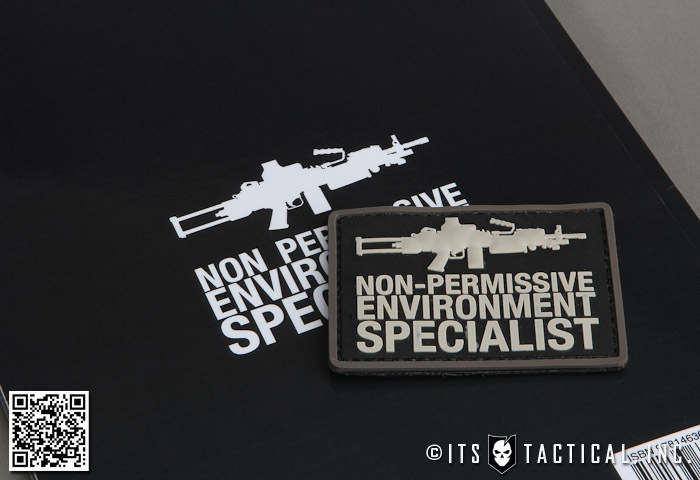 I have been doing Special Operations Contracting since 2005 and have worked as an independent contractor for several companies. I still take contracts, which are mixed in with another oil and gas consulting business I run. Q: What was your inspiration for BPRE? A: Most of the plot for BPRE was based off of vignettes from my experiences in the Middle East; either contracting or military. The main characters, Grinch and Token, are actually based off myself and a friend (who’s now deceased). The other characters are amalgamations of 2 or more people. One of the biggest challenges was keeping things authentic without compromising our non-disclosure agreements and/or things that could be detrimental to the troops and U.S. Government. Our collaboration started as a dramatized history of contracting in Iraq. At the time we were first introduced, Jon had been developing BPRE with his company Echelon Software, as a hard sci-fi story about proxy wars fought by contractors in the near future. After some discussion we decided to fold the two projects into one, trying to retain the best of both. This allowed us to create a work of speculative fiction that capitalized on my direct experiences in theater and deeper strategic insights Chang had gleaned on the region from doing a variety of think-tank and strategic consulting work for US Oil + Gas Companies. Q: How important was realism and authenticity in the BPRE story line? A: Very important, everything in the BPRE world is real. The characters are amalgamations of real people; the technology is real; even the background story, designed by Chang 3+ years ago, is starting to become a reality (see Erik Prince’s new proxy army in UAE). With the exception of some of the brutal gunfights and the outright executions, it’s the closest thing to what’s happened to date and what’s coming next that you will find. We spent enormous amounts of time and energy to research and detail a back-story that was consistent with what’s going on today and what was a natural progression of events from my day-to-day in the field. 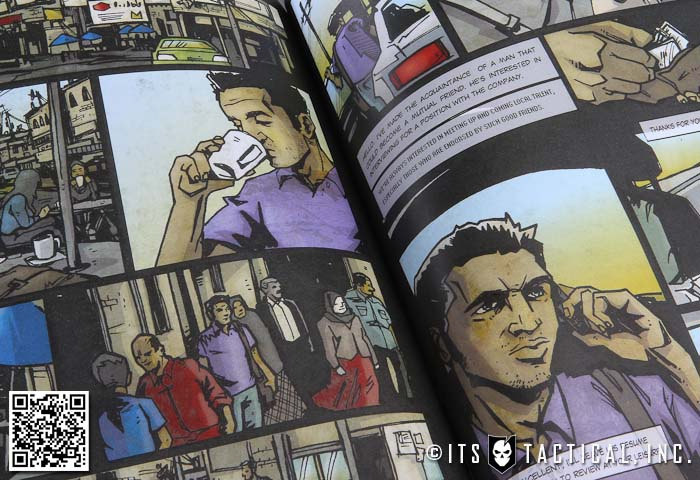 When the time came to produce the graphic novel, we had already completed more than half dozen photo shoots at simulated Iraqi training sites in the US with a variety of former SOF guys playing the parts of both aggressors and friendlies. By this time I had also captured hundreds of photos (in Iraq proper) of the exact locations in the stories to provide the artist, Josh Taylor, with the best possible reference to create the renderings in the books. Q: Did you consult with prior and past team members when writing the story line? I can imagine putting together as much detail as you did took some serious work. A: To keep us honest, I brought in dozens of my military and contractor friends to consult on the project. As I said before, every story in the series actually happened to myself or someone I know. Q: BPRE had a great dark and gritty hard-crime feel to it, was this planned from the beginning? A: I don’t know if it was so much planned as just reality. We simply created a slight deviation off of real life and the story kind of told itself. For those readers who haven’t deployed to Iraq or Afghanistan, it’s hard to accurately convey what its like there. The massive corruption and lawlessness is really hard for an American to truly grasp. I still have trouble wrapping my mind around the brutal reality of a war torn country with billions of dollars in resources that people would do ANYTHING to get at. Q: Where do you see BPRE going and what audience was it designed to cater towards? A: I have to be honest with this one. I have no idea. First of all Chang does all the marketing and press stuff. I got on this project just because it was fun and there really wasn’t anything like it out there. There is a whole counter culture in the PMC world that doesn’t really get any press. Before September 2007, I don’t think most of America could tell you what a military contractor was or what Blackwater was (unless you count some really bad press in New Orleans). I think this world and story is very compelling and just makes a good read. I felt it was enough to tell the story, put the product out there and see what happens. Since we started this specific narrative, we’ve had people approaching us to develop the story into a feature film or mini-series. I think at this point we’re just going to see what gets the most traction and follow it where it goes. I’m just happy to see BPRE get released and that people are enjoying it. Q: What was the underlying theme you were trying to aim for in BPRE? Q: Can we expect future projects between you and the publisher, Echelon Software? A: Absolutely, Echelon and I are working closely on several BPRE projects including video games and a novel that span this story arc and events that follow it. 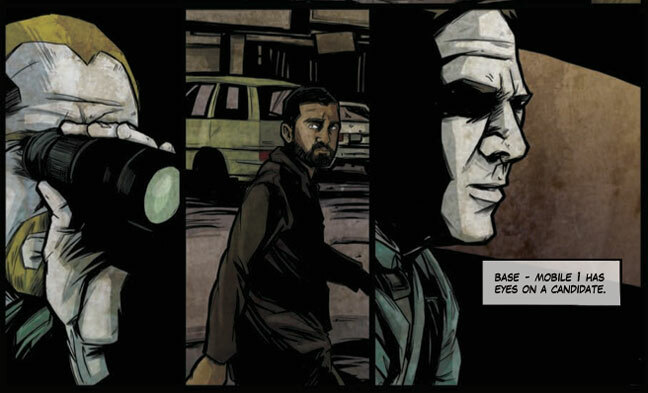 Q: How about a teaser on what we’ll see in future BPRE graphic novels? A: Violence, The first book is really setting up the situation for the next three. There are some large action sequences and some vicious betrayals coming up soon. Be sure to check out issue two for some good fun. It should be released before the end of the year. I’d like to thank Kane Smith for the awesome interview and Jon Chang for all his help. I look forward to following the future success of BPRE and can’t wait to read the next issue! 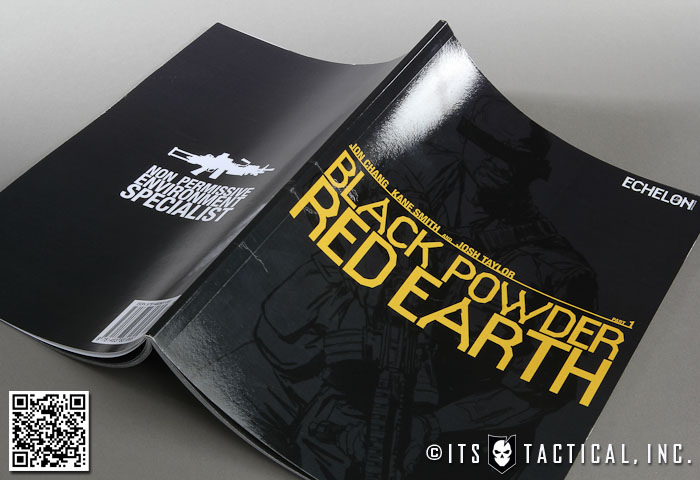 Pick up Black Powder Red Earth on Amazon and check out the BPRE Website for more information and updates on when you can expect the next issue! Have you read BPRE? Leave a comment below and let us know what you thought!